You and the Earth teaches you how to communicate with the earth and that the Earth is always communicating with you. helps you to work with the earth to bring changes that actually need to be changed now and help others in their communication with the Earth. 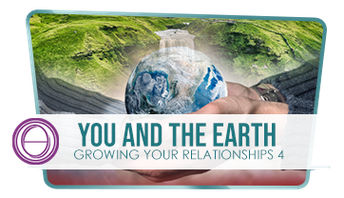 This seminar is part of the Growing Your Relationships seminars and can be taken together with 1, 2 and 3 or by itself.